Call us at 914-963-2196 for information on upcoming classes and seminars this season. Learn fly-fishing basics in one of our free Fly Fishing 101 classes. 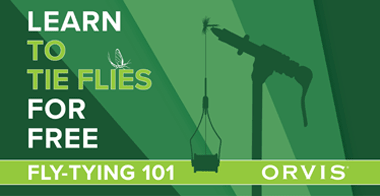 Perfect for beginners of all ages, the Fly Fishing 101 course includes free lessons on fly casting and outfit rigging. If youve already completed Fly Fishing 101, youre ready for the next step. Join us for a short outing on local water and a chance to catch your first fish! A nominal fee for the outing may apply. A free Trout Unlimited Membership—a $35 value—is included for all FF101 and FF201 graduates. Upon completion of the course, you will receive special in-store offers, valid for the purchase of Orvis products. Whether you have come up through the Orvis FF101/201 program or you are someone that just wants a little guidance on how to become a better fly fisher, nothing beats time on the water with a knowledgeable guide or instructor. Our FF301 program is the next step in your fly-fishing education. Designed to give you a great on-the-water fly-fishing experience, the day's instruction is built around specific techniques and local fisheries. Orvis Yonkers classes are designed to help you fish the local New York City waters we call home. We will discuss flies, techniques, and how and when to fish these waters effectively. Sign up for private instruction with our resident experts, using the latest Orvis gear. Want to improve your double haul, or just gain those precious few extra feet from your cast? Book a lesson with us today. We offer an hour and a half of private instruction for the low cost of $70. We can arrange a special class time to work around your busy schedule. Call us today for more details. I am excited to have the opportunity to welcome you to Orvis in Westchesters Ridge Hill mall. Prior to joining Orvis, I was the General Manager of a northeastern sporting goods retailer. My passion for fishing, bird watching, shooting, and the outdoors began in 1989 while attending Colorado State University. From my first trout in the Cache La Poudre River to kayak fishing for local stripers, I enjoy nothing more than a day by the water. With my retail experience and love of the outdoors, I hope to promote a passion for conservation and the responsible use of our local resources. I assure you my staff and I will make your visit to Ridge Hill a memorable one. CAN’T MAKE IT TO A CLASS IN PERSON? NO PROBLEM. The Orvis Fly-Fishing Learning Center has hundreds of tutorials, videos, podcasts & articles available on-line, right now! For all employment opportunities at Orvis, please visit our Careers page. "If we are to benefit from the use of our natural resources, we must be willing to act to preserve them."